How can life science and biotechnology companies leverage social media to increase visibility, generate more leads, and ultimately improve sales or the value of the company? Comprendia is the recognized leader in understanding how to develop and implement social media strategies tailored to life science and biotechnology companies. 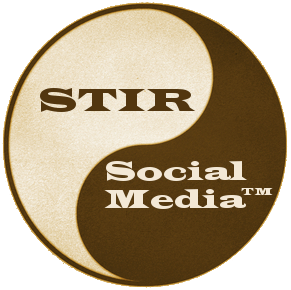 Our STIR Social Media™ system is designed to help you launch campaigns that will work with your life science and biotechnology customers. We’ve updated this workshop for 2011 with more examples, tips, and tools specifically for the life science marketer. Which applications and themes work with scientists or biotech professionals? How do I integrate social media with existing marketing strategies and tactics? What is the return on investment (ROI) for social media, and how do I maximize it? How do I get buy-in from the management and motivate my team to participate? Who Should Attend: Business Development and Marketing professionals who provide products or services in a non-regulated environment and are interested in using social media to increase sales, leads, or visibility. Examples: companies who sell research-only products or services to scientists or small to mid-size biotechnology companies that need more visibility. Contact us if you have questions. Register for Workshop 1 below, we hope to ‘see’ you there! Note: our workshops are intended for marketing and business development professionals in life science and biotechnology who do not manage FDA regulated products. Sign up to view Comprendia's Social Media for Life Science and Biotechnology Workshop, Part 1, available as a 3 hour long webinar. Price is $375 (1 attendee) or $750 (2-4 attendees). We'll send you a link to view the webinar after you've received the printed materials. This is our first in a series of bimonthly Social Media for Life Science and Biotechnology Workshops, which we began in 2010. Our workshop schedule also includes application-specific workshops which cover social media tools in more detail. Sign up for updates to our blog and you’ll be the first to hear.